Companies need to be aware of the advantages and start thinking about how to use blockchain. 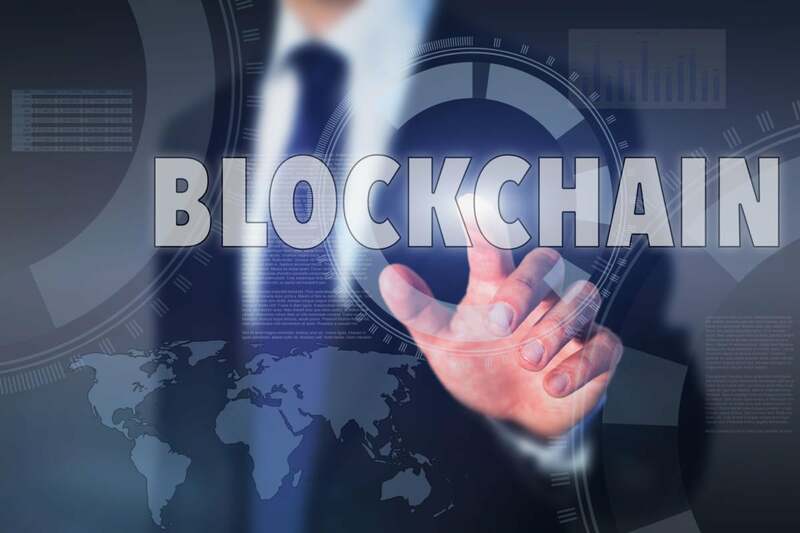 Blockchain technology is a red-hot topic in the news these days and in many C-suite discussions. It has wide applicability to many industries and most companies. Like any emerging technology, companies that aren’t first movers tend to look for proven use cases and often wait for the technology to mature. But that may not be your best strategy with blockchain. Adoption has accelerated, and new use cases occur almost daily showing blockchain’s potential for revolutionizing a business as well as creating new markets. I believe every organization needs to consider how it might apply to their business. Let’s look at what the technology is and several examples of how your company could benefit from it. Blockchain is a decentralized digital distributed ledger shared by a peer-to-peer network of computers. It’s a mechanism that brings efficiencies, transparency, security, auditability and trust into shared business processes at a very broad level. The business process could be internal to an organization, or it could be among different external parties. The transactions are verified and recorded in the ledger almost instantly. When a transaction occurs, the technology performs validation by each participant and records an entry in the ledger. Each entry/update in the ledger is a “block” in the “chain” of transactions among the participants. Since a blockchain distributed ledger is not maintained through a central authority or clearinghouse, it reduces the “friction” and inefficiencies. Currently in the U.S., it can take two days for a central authority to match transactions and complete the entire process. Blockchain can complete it in 10 seconds. It also eliminates a single-point-of-failure risk of denial-of-service (DDoS) attacks and the opportunities for fraud that exist in transaction systems today. In addition, blockchain uses cryptography to ensure participants’ privacy and prevent hacking while participants’ data moves through the ledger. The distributed ledger is tamper proof; no one can edit a transaction that is already committed on blockchain. Blockchain also eliminates the need to do separate reporting to regulatory authorities. A distributed ledger can be shared with a regulatory body so it has a complete view of all transactions happening on the blockchain. How can your company use blockchain? First, a word of warning: despite the increasing volume of talk and increasing interest in blockchain, most examples of blockchain are still in pilot and few have achieved commercial implementations. Having said that, let’s look at three practical uses for blockchain for which pilots are underway, many of which will shortly be implemented in production. These examples highlight some ways you can apply blockchain in your business. These programs are vehicles that use incentives to gain loyalty to a company or an ecosystem of companies. An example is the mileage programs that airlines use to reward customers. Loyalty programs are popular and can be differentiators, but they are highly inefficient and very expensive to administer. Blockchain dramatically reduces the cost of administration. Here’s what’s really interesting: blockchain can enable companies or groups of companies to create even more sophisticated loyalty systems that reward members of an ecosystem for doing business with each other. And it does so in an easy-to-understand way and can’t be manipulated. As an example, let’s say Alice is an employee at a government entity and Bob is a salesperson for a service provider. They decide to discuss business over lunch. They want to split the cost and want it to be transparent because they will be audited by the government. Blockchain enables them to do this transaction without going through a bank. Alice can create a transaction on the distributed ledger that the digital wallet has created for them. When the transaction is sent to the blockchain ledger, it performs three validations: proof of identify for Alice and Bob and whether each has the money to split the cost of lunch. The money is then distributed to the two digital wallets, and the validated transaction goes into a block, which is stored in a chain of blocks. If you’ve ever tried to transfer international money using a bank, you know how quickly transaction costs add up and how variable and volatile those costs are. For instance, imagine your company needs to buy tools from Germany and components from China. You would need to do a bank transfer (which is complicated to secure) to send the money to the right place, and you would pay the bank a substantial fee for that transfer. It takes a lot of time and effort and causes a lot of friction. Then comes the shipping of the goods, which is a cumbersome and friction-causing process. It involves multiple entities (exporter, importer, bank, insurer) and many documents (letter of credit, bill of land, regulatory documentation, insurance policies, vessel manifests, customs declarations, etc.). The process of sharing and approving the documents currently happens in multiple entities’ systems and involves information on paper documents that must be entered into computer systems. Blockchain streamlines and simplifies this process, entering all the documents into a single system (a distributed ledger) shared among all the entities. It gives all participants visibility into the transaction and eliminates many transaction fees. Each participant on the network can securely access the ledger without need of a central authority. Another benefit is that it reduces the opportunity for document tampering and fraud (such as getting a letter of credit for the same goods multiple times from different banks and then getting that money on credit). More good news — the settlement process through blockchain is faster. For example, it may take 10 to 20 minutes for the blockchain to handle one of these transactions. Without blockchain, it can take 30 days for documents to be shared and exchanged among all the entities and settlement to take place. I believe one of the most important developments in this technology is blockchain-enabled “smart contracts.” The possibilities are stunning. We’re on the brink of solving some really nettlesome problems through this mechanism. Stay tuned: I’ll discuss this in my next blog post.